I regularly receive requests to provide a list of the best online stock brokers. Or to recommend the best online trading broker. A good online broker is one of the important basics for every trader or investor. If you are a day trader or if you are a position trader or long term trader/investor you need to have confidence in your broker company. It is important to know that there is not only one top stock broker. Every individual trader or investor has more or less different needs for his strategy. But all have one common idea in their mind. To find the online broker with lowest fees. But this is a big mistake. Lowest fees do not mean that the broker will be one of the best online stock brokers for the investor’s purposes. Fees are not the most important costs of a trader or investor. There are also other very important issues for choosing the best stock broker firm. I have described them below. 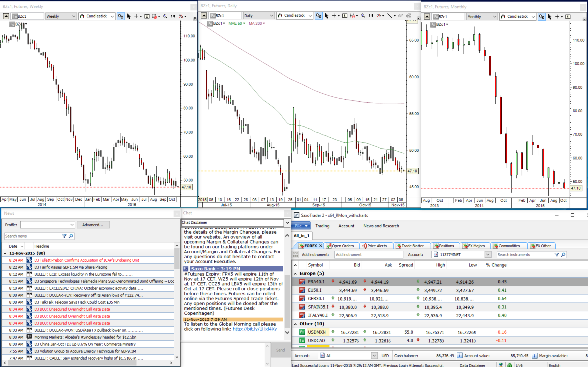 Is trading software provided by the broker usable for you? Or not? Is entering of the order easy or not? This is important because you do not want to make a mistake when you are entering an order. Especially if you are a daytrader and need to enter your order quickly. There are several levels of security that can be provided for your online trading brokerage account. This option differentiates best brokers from bad brokers and it is really important. How can you reach a support person? How quickly? And is it available 24/7? Is it also reachable by phone? All these issues are important because sometimes you will need to arrange orders off-line (without internet access). Or when your computer crashes. Or when electrical is shut down. Can such broker provide reliable realtime data for any ticker you want to trade ? Can you borrow shares when you want to sell shares short? Is it good broker for short selling? Some brokers offer only a limited list of markets to trade. Like only US exchanges. Or only European markets. It can be fine for your strategy. But if you also trade based on global macro analysis you want to have access to markets around the world. There are a lot of International ETFs or International stocks on US exchanges but sometimes it is important to trade directly on international markets like Hong Kong, Australia , Canada, Sweden, etc. The best online brokers offer them. There is possibility to use local brokers for local stock markets or globally positioned best online brokers that offer access to several exchanges.